Samsung is finally releasing an update to the Galaxy S8 and S8+ to fix the Blueborne vulnerability, following a slew of other devices that were updated earlier this month. Once again, the update keeps the security patch date at August 1, although the changelog does mention that the latest Google security patches are applied. We’re guessing Samsung has either implemented the September security patch without changing the patch date or will be including this month’s vulnerability fixes in the update for October. The latest Galaxy S8 update also brings stability improvements to wireless charging and the navigation bar. We’re not sure what kind of navigation bar stability Samsung is talking about, but we’ll take all the improvements we can get (perhaps this fixes the navigation bar’s finicky nature when you set it to hide instead of being always visible; we’ll just have to wait and see). Should you want to confirm that the update does indeed patch the Blueborne vulnerability, you can download this app from the Play Store. 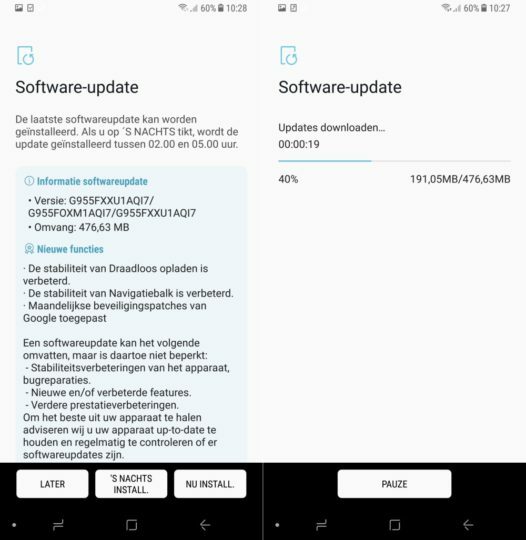 The update is rolling out over the air in the Netherlands as a 476 MB update, and it should also be hitting the Galaxy S8 and Galaxy S8+ in other regions later today and in the coming days. To see if it’s available on your handset, open the phone’s settings, then head into the Software update section and hit the Download updates manually button. 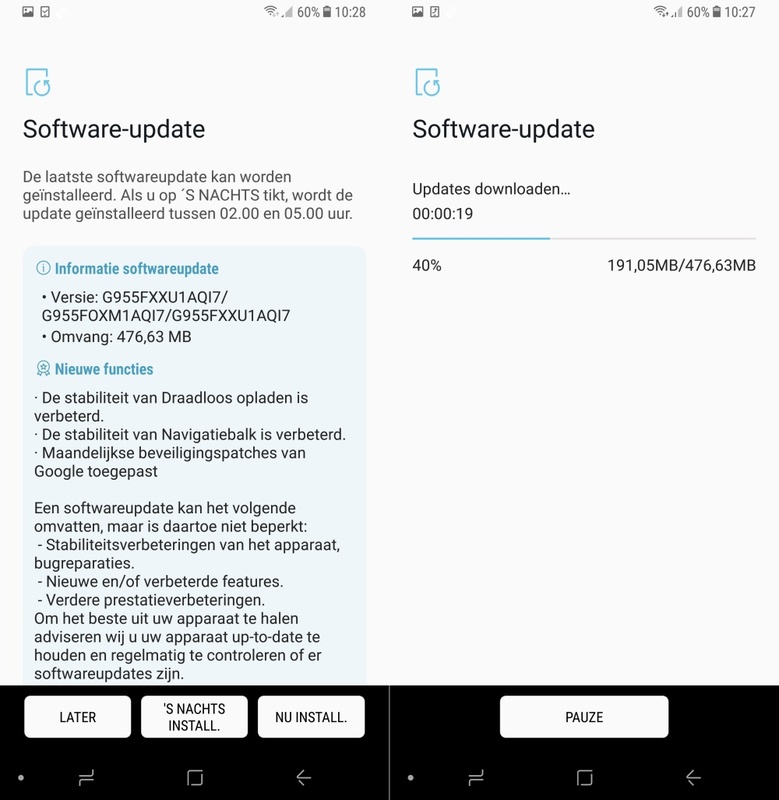 EE UK no update stuck on QH3 and August patch, seems Samsung are focusing on Oreo. No update yet to uae. Why? IRELAND no brand, s8, still no update. It seem the home button now has a small animation when being pressed. What happens with monthly security patchs, Samsung? So hard is to give us september security patch?